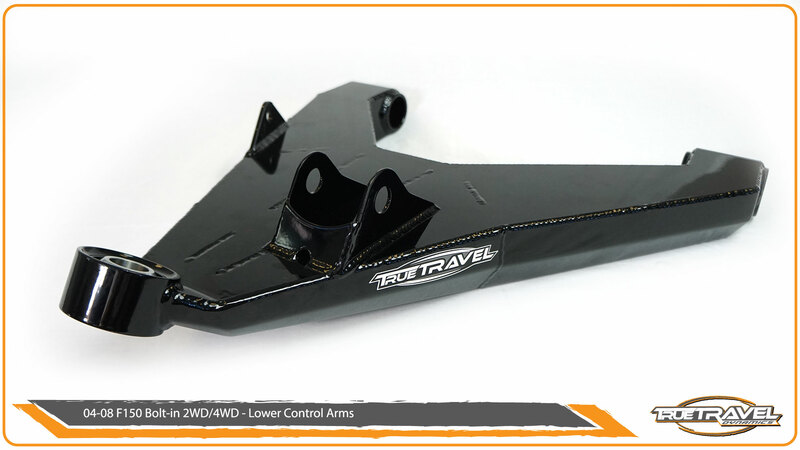 The True Travel Dynamics bolt on long travel kit for 2004-2008 F150s will drastically increase the amount of wheel travel over stock, giving you improved off-road handling and drive-ability. 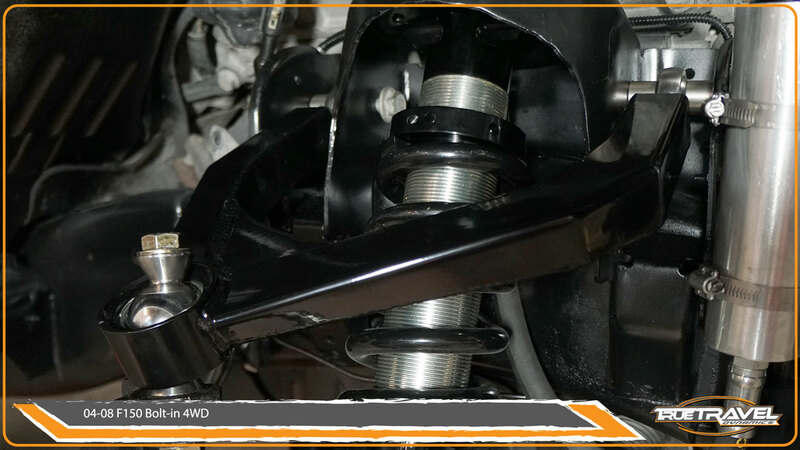 Our suspension components eliminate weak factory ball joints entirely. 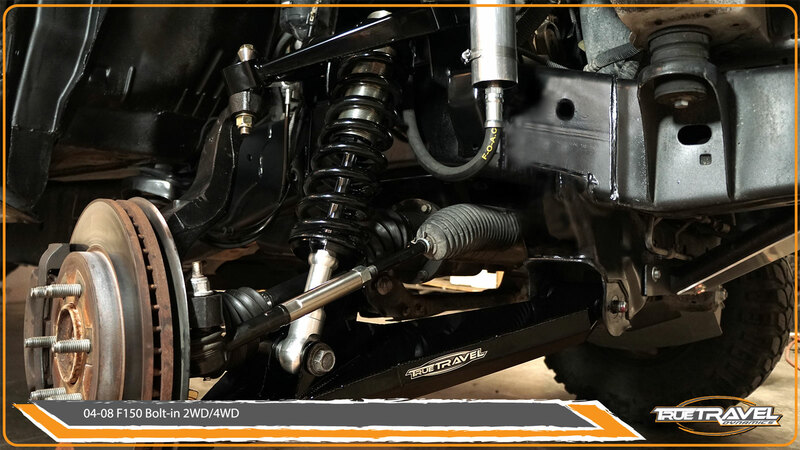 1″ Military Grade Stainless Steel Uni-ball bearings are used to increase component service life, improve articulation and overall strength. 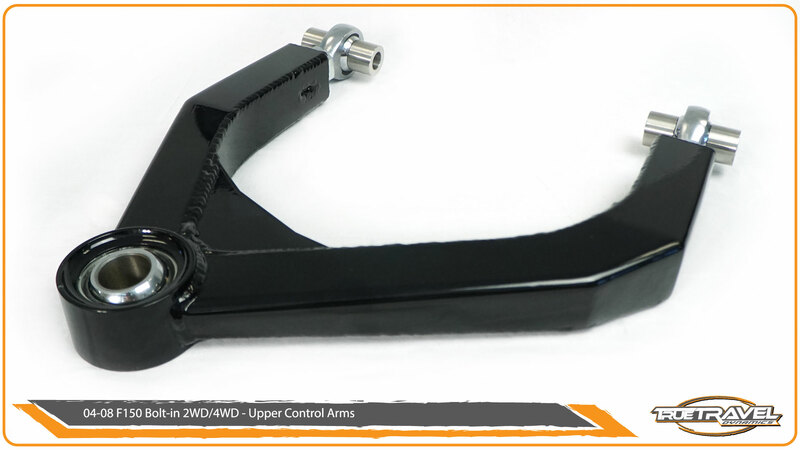 Heim Joints/Rod Ends are used on the upper control arms for adjustability and strength. 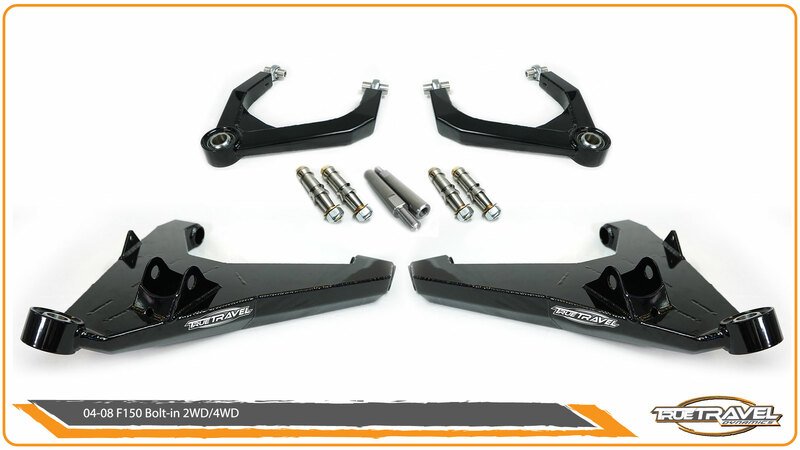 This suspension package gains 4.5″ of width over factory components, uses OEM factory replacement shocks and will allow up to 13″ of wheel travel. 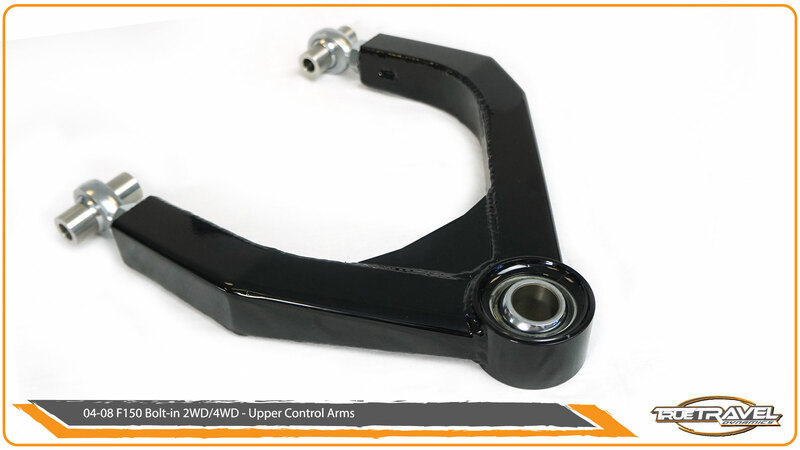 A powder coated finish is added for durability.